Now for the eyes and mouth, we’re going to make it. 1. 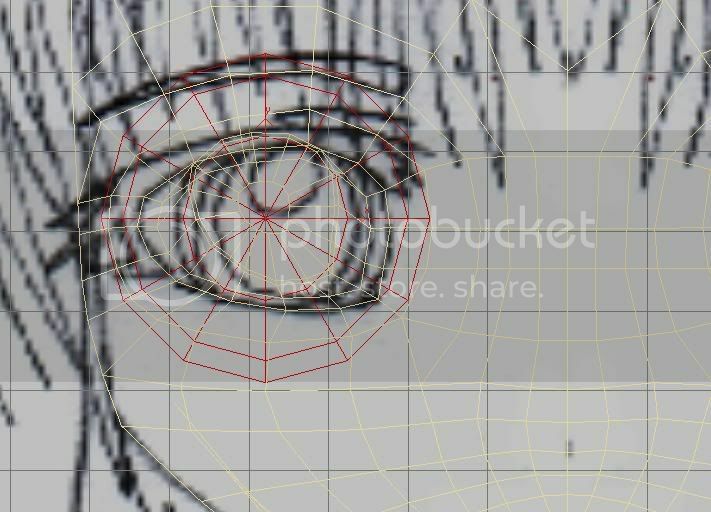 Select “edge” and select all line at inner eye. Then, pull it inward (using instruction step 10) and resize it! 5. 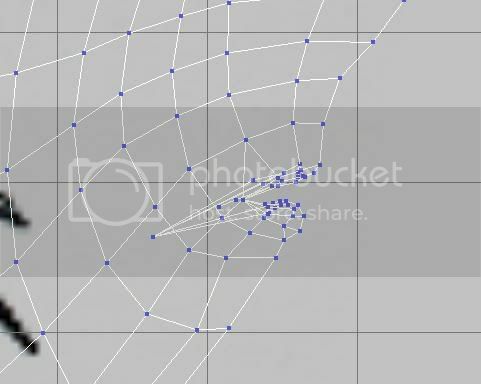 Before going to symmetry it, first we need to assign it with number so our works will be much easiest for texture placement. 6. 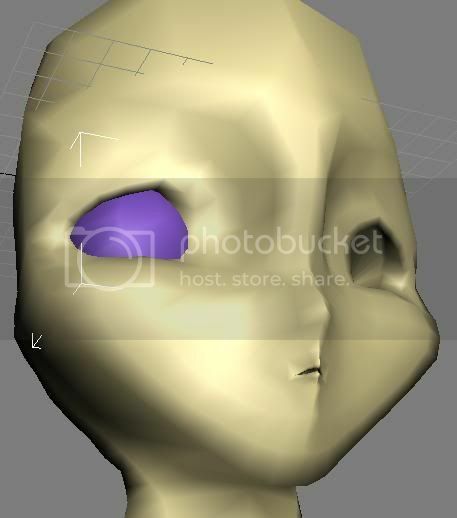 Select the eyeball by select all using “polygon modifier” then, assign it with number two! 7. Now select face and assign it with number 1! DONE with the face!! The result when you select ID, the number 2 will highlight your eyes! And number 1 will highlight your face. 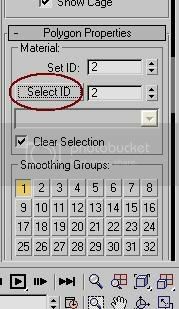 Be sure just write the number at empty box besides the “select ID” button to highlight the object and empty box beside “set ID” for assign object with number. ALIEN! This how the anime face looks like! 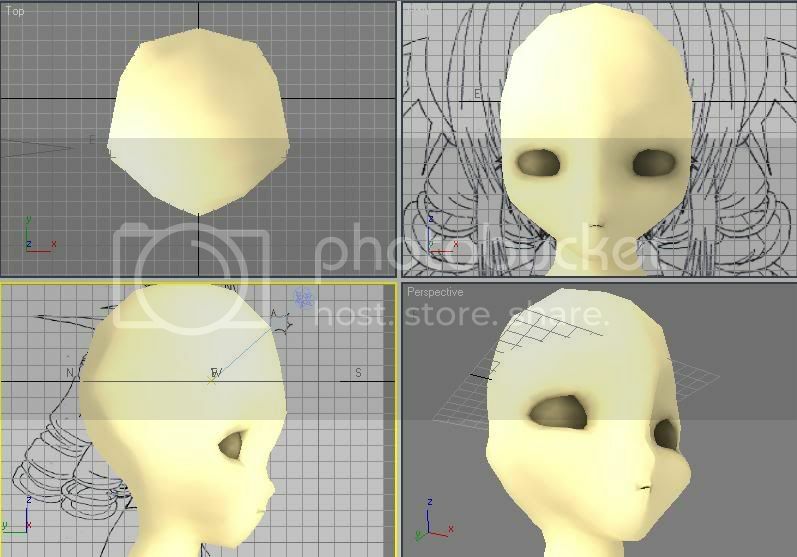 On a side note: Can I request a additional section to this tutorial for doing the ears and attaching them? You, my very awesome friend, is helping me secure highest grades in a 3D course at school. Is there any special way I should do the body of the character or should I just make the body one as I always have? … Could you make a show of how you usually do the body? Please? If you have some time? Thank ya. I just needed you to say that before I start. 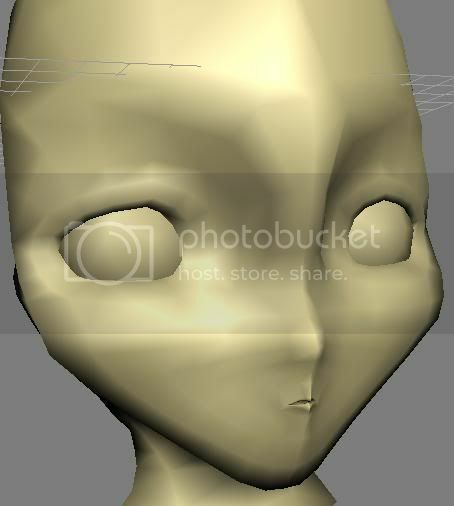 I just realized that Anime head was really look like aliens, I thought I was fail at modelling.